It’s been a bad year for Rainier Avenue South. There are the usually numerous car crashes, sure, but that’s normal. The same goes for the pedestrian collisions–regrettable, but normal. An unfortunate but inevitable side effect of the automobile, and are generally accepted with little comment. But in April, a car slammed into a nail salon on the corner of Edmunds and Rainier, after hitting a truck making a turn. Speed was a factor, unsurprisingly, as were both vehicles attempting to beat the light. Residents grumbled; tensions rose. A temporary wall was built to replace the one torn away so suddenly, and life continued. 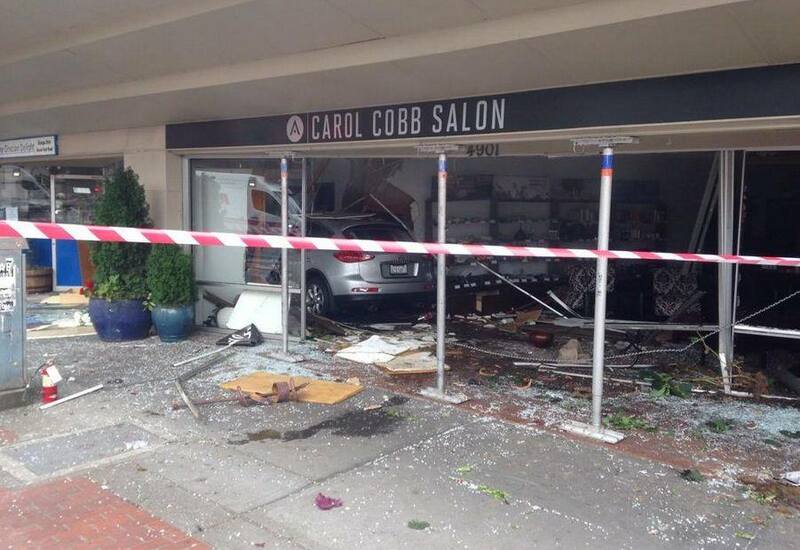 And then it happened again in August, when a speeding SUV lost control and crashed into the hair salon just one block south of the first such incident–this time in the middle of the day. Seven people were injured, including a family of three who found themselves pinned between the offending car and a counter at the restaurant next to the salon. The SUV was eventually dragged from its resting place, with hydraulic jacks holding the roof of the now-uninhabitable structure aloft. Residents did more than grumble, this time. Leaders in Columbia City organized a “walk-in” rally where protestors crossed Rainier repeatedly, showing how inadequate the crossing time given was while reminding drivers to slow down. Online conversations swirled around, and it wasn’t long until SDOT amended the agenda for the already-scheduled Neighborhood Traffic Safety Meeting to include “Safety on Rainier”.